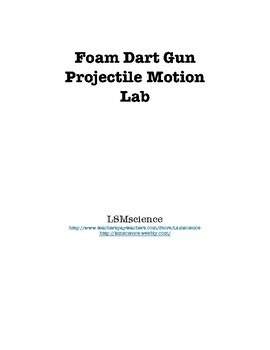 Students get hands a hands-on projectile motion experience using foam dart guns. My students loved this lab because they get to "play" with toys while doing physics. 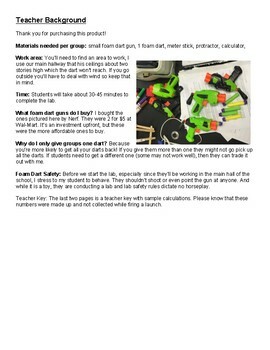 You'll of course need a small foam dart gun per group to do this lab but all other supplies are things you'll already have on hand. Students use kinematic equations to calculation initial velocity, vertical distance, and time. This lab is a nice introductory lab to two dimensional motion. 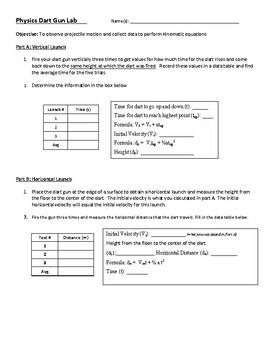 Need other projectile motion resources? Check out my Stomp Rocket Lab!